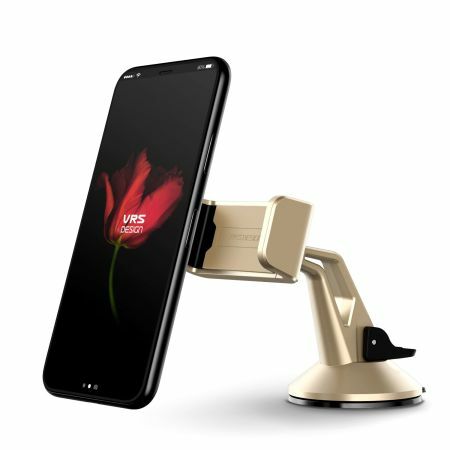 Place your phone or other device on the car windscreen or dashboard with the stylish Verus Hybrid Grab Mini in-car mount in gold. A secure fit, universal compatibility and fully posable positioning means this is a complete mounting solution. Featuring a smooth and stylish design that is rarely seen in products of this nature, you can be assured of a mount that will look the part even in high performance or luxury vehicles. 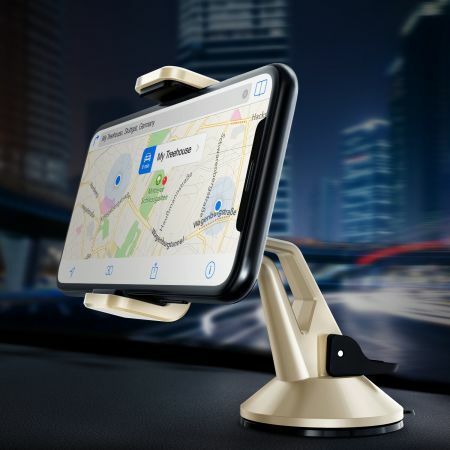 With a metallic gold finish, this mount is perfectly at home in the modern car. 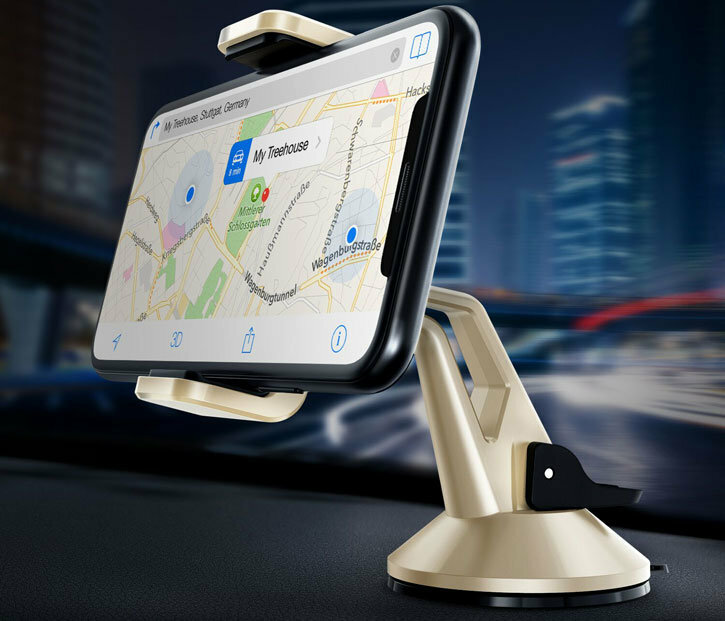 Easily grip your phone or other suitable device with the Hybrid Grab Mini In-Car Mount, whether you decide to install the holder directly to your car windscreen or the dashboard. The holder is packaged with an adhesive plate, to fix the mount securely to your dashboard. The mount can be discreetly placed due to its small and lightweight proportions. It is ideal for using your smartphone as a Sat Nav (Satellite Navigation) device, as well as viewing incoming alerts and calls. 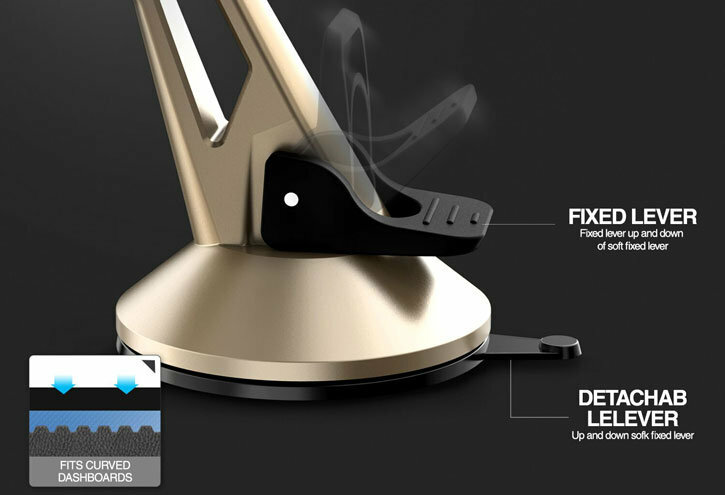 The holder features a special rotational ball joint, allowing you to position your device at an angle you decide is comfortable or suitable. 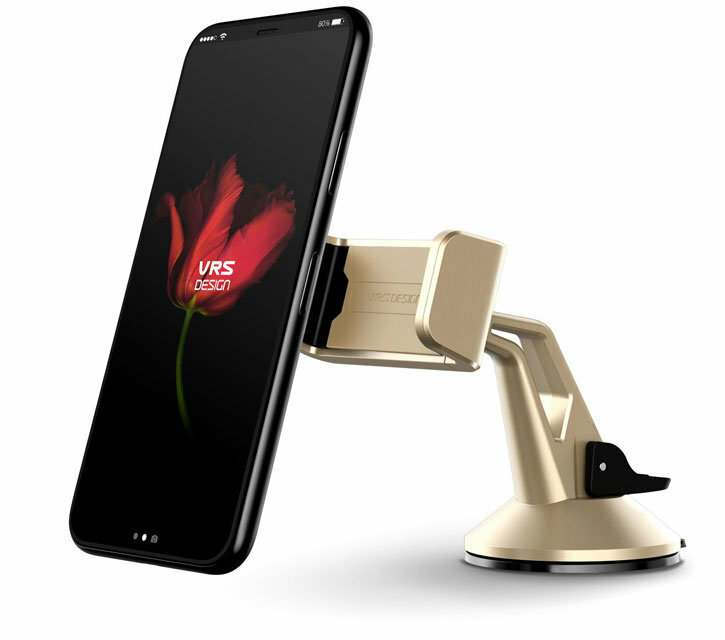 So not only can you rotate your device 360 degrees on one axis, you also have the option of tilting it in any direction you choose, offering you all the freedom of movement you could want. 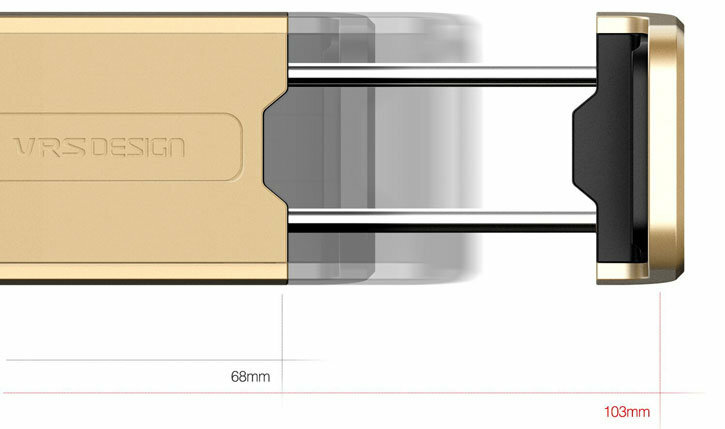 The jaws extend from a minimum of 68mm to a maximum of 103mm, enough for even the very largest of smartphones. 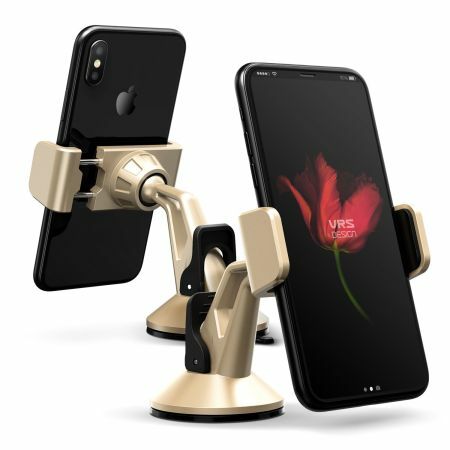 The jaws create a suitable grip that will accommodate the majority of modern devices with or without a case installed - helpful as you won't need to remove the case from the device to use it within the car. Featuring easy access to the charging socket or 3.5mm headphone port at all times. Soft pads gently cushion your device within the Hybrid Grab Mini, ensuring your mobile phone is secure without marking the device when attaching and/or removing it.